The Golden Hour usually refers to when the sun’s rays perfectly cover the Earth’s surface, and everything is soft and warm. It occurs twice daily, but with the help Botanica’s Turmeric Golden Mylk, you can make your own Golden Hour (even before the sun comes up)! 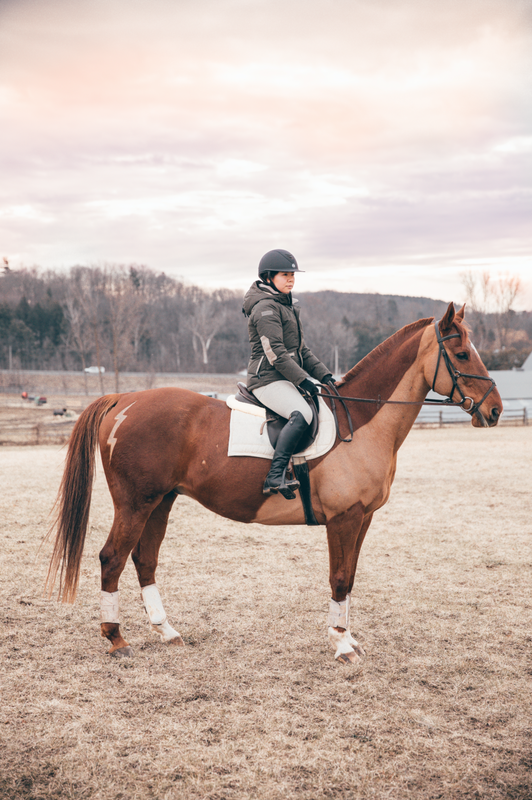 Creating my own Golden Hour with Botanica is as easy as making a cup of coffee or tea. I simply whisk a teaspoon of Botanica’s Golden Mylk powder into a cup of warm almond milk, and allow the blend to consume me. 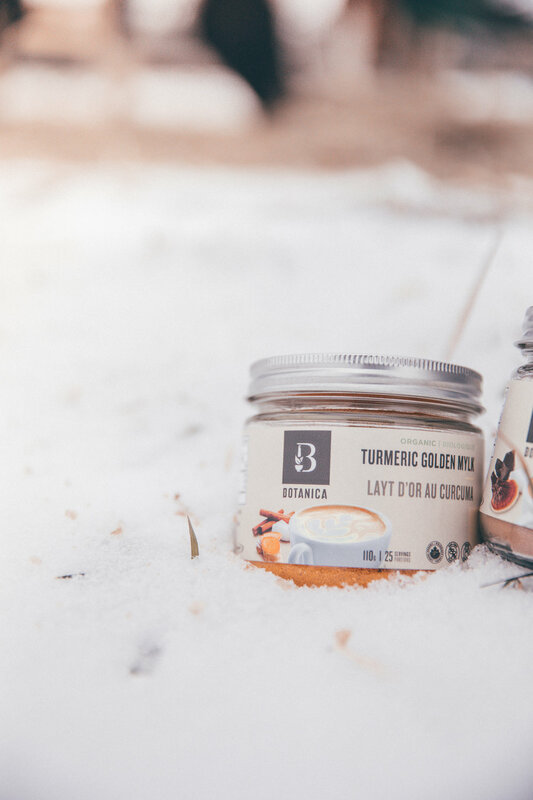 Botanica’s Turmeric Golden Mylk contains: turmeric; dates; coconut; cardamom; abhwagandha; black pepper; and cinnamon, and the blend is as soothing as basking in the sun’s rays. Moreover, turmeric is known for it’s powerful anti-inflammatory and antioxidant properties, and provides overall cardiovascular protection. If you are not the biggest fan of turmeric, don’t worry! 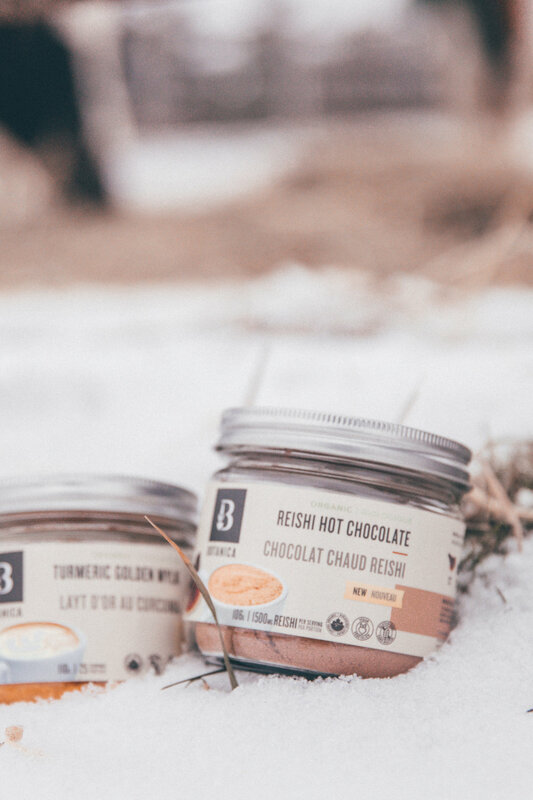 Botanica also has two other powder blends with amazing health benefits: a chocolate-infused Golden Mylk and an amazing hot chocolate - the hot chocolate blend is the best I have ever tried (and I have tried a lot blends)! Drinking Botanica’s Tumeric Golden Mylk every morning brightens my mood and helps me to gently wake up. Whether it is a crisp autumn morning or snowy winter day, I hope you join me in creating the perfect Golden Hour.